Cravings come and go, but one thing is for sure: when you’re hit with the need for a quick burger, milkshake, fish sandwich, smoothie – or any other fast food goodie – we’ve got you covered on where to find the best version of it. The In-N-Out Double Double has consistently been ranked as the number one burger in America according to die-hard fast food burger enthusiasts. This burger is simple, featuring two beef patties with cheese, onions, lettuce, tomato, and a toasted bun. However, it may be their secret spread that keeps West-Coasters coming back for more. Chik-Fil-A’s Grilled Market Salad is nothing to shake a (lettuce?) leaf at. 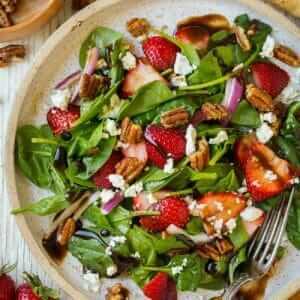 This salad features their signature chicken, sprinkled with tart apples, sweet cranberries, blueberries, strawberries, and nuts atop a bed of greens, with your choice of dressing. Get ready for anything but boring with this salad. It’s said that the Blueberry Heaven smoothie at Smoothie King tastes nothing short of a mouthful of wild blueberries picked fresh in the summer. This smoothie is blended with bananas, Smoothie King’s protein blend, and honey. The protein blend gives this smoothie a thick, milkshake-like consistency, while the addition of the honey adds a touch of sweetness that isn’t overwhelming. What’s one way to make everyday feel like your birthday? Stop at Steak n’ Shake and order a milkshake that literally tastes like a birthday cake in a cup. The Birthday Cake milkshake was created to celebrate Steak n Shake’s 80th birthday, and it’s still going strong the older it gets. The shake is a decadent blend of yellow birthday cake and sweet buttercream frosting (a blended cake slice), topped with sprinkles and a cherry. Who are we kidding? 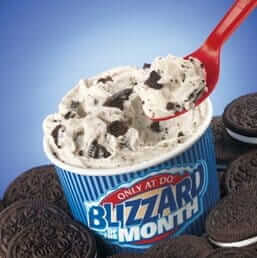 Any Blizzard at Dairy Queen is hands-down the best when it comes to fast food ice cream. Each Blizzard is a concoction of various crumbled candies and desserts (think Smores, Butterfingers, Oreo cookies, brownies, etc…) blended with a rich, thick vanilla, chocolate, or strawberry ice cream base. Taco Bell is the king of, well, tacos. Not only do you get fantastic simple taco options, like their Crunchy Taco, but you also get to choose between exotic favorites like the Volcano or Doritos Locos tacos. The Volcano taco has a spicy cheese sauce called the “Lava sauce,” along with a spicy red shell, whereas the Doritos Locos taco features taco shells made of Doritos chips. McDonald’s Egg McMuffin remains an iconic testament to fast-food breakfasts nationwide. While it is a relatively simple sandwich, featuring a toasted, fluffy English muffin topped with melted cheese, a fried egg, and sausage, it still remains a fan favorite. Pair it with the hash browns for a full meal and smiling taste buds. Sonic takes the hot dog to a whole new level by drenching a grilled beef hot dog with rich, meaty chili blanketed in melted cheddar cheese. 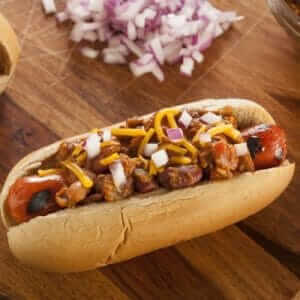 Wrap this decadence in a warm baked bun and you have yourself one of the most loved fast food dogs in America. The iconic po’boy fish sandwich can finally be had outside of New Orleans, as long as there’s a Popeyes in town. This sandwich is one of the most popular fast food fish sandwiches, featuring two crispy, battered fish fillets tucked snugly into a fluffy baguette. Bonus: here’s also a shrimp version you can try. Panda Express caters to your craving for Chinese, without having to sit and wait in front of a wok. 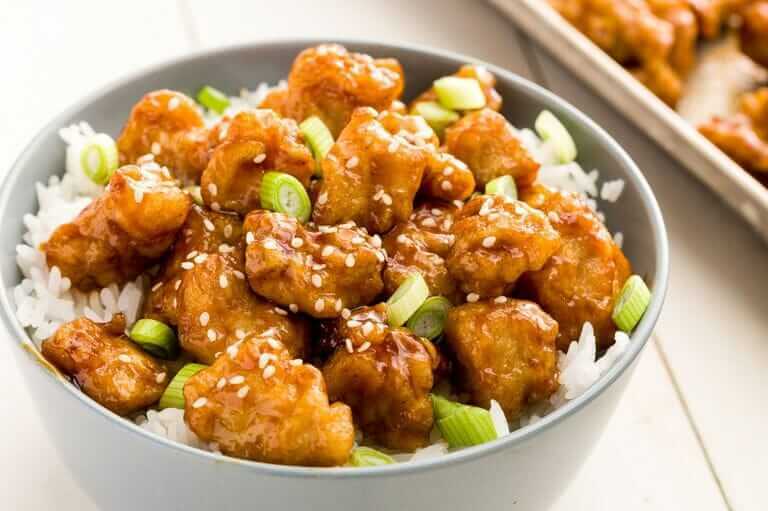 Their Orange Chicken with Fried Rice Bowl blends crispy white meat chicken bites saturated in sweet and spicy “secret” orange sauce, with savory fried rice for a full-flavored experience. Let us know in the comments what your favorite place to grab your favorite craving is!